Besides H-1B visas, there are many other visa categories that are as devastating to other elements of our society. L-1 visas, for example, are issued to foreign employees of a corporation. 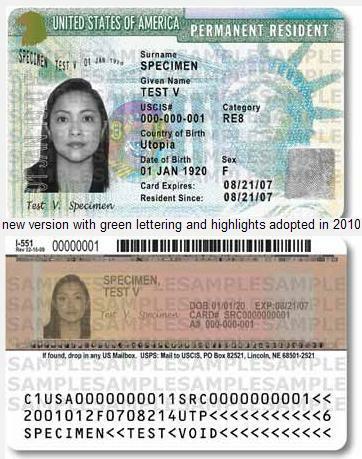 L-1B visas are appropriate for nonimmigrant workers who are being temporarily transferred to the United States based on their specialized knowledge of the company's techniques and methodologies. As you might expect, this too can be a ruse for corporations to bring in cheap labor. Stop it please. If we trusted the government to assure that Americans were considered first, we would have reason to trust the government. Do you trust the government? Once you learn for the L-1 visa holders, who are sponsored by corporations, that there is no requirement for the corporations to pay prevailing wages, you can see why the L-1 visa is a favorite trick to gain legal, cheap labor. Congress loves to snooker Americans so they can do the bidding of the campaign contributors, the special interest lobbyists, while fooling the citizens. They do it all the time. Right now, we have a congress and a president pretending that they are looking for a fix so Americans can again be employed. Meanwhile each year, this same cohort permits over a million new legal aliens in with worker visas, and it gives another million green cards to other foreigners not the same ones-- for permanent residence. Worker visas mean that in order to come here and stay here, the person must already have a job. Where are these jobs coming from if we can find no jobs for Americans? Who are Congress and the President kidding? Who do you know anywhere that is trying to stop this or at least slow it down so Americans can get back to work? Dear Congress and President Obama, please stop all the visas for a few years at least until Americans get back to work and the jobs picture is much better. I can't stop thinking how unfair this is. It is unbelievable that Moms and dads still wonder why their children cannot get good jobs while their own government is the perpetrator that is preventing their children from succeeding. After spending a ton of dough getting junior through the university and even the graduate school systems, the parents are spread thin enough that dollars do matter. So, after a few years of junior -- unemployed because the government permitted an H-1B visa holder to take her job --, still living at home with huge college loans, parents wonder why their children went to college and graduate school in the first place. Additionally, the colleges and universities from whom our children receive their degrees and indirectly to whom all the borrowed dollars are owed --- tons and tons, I know --, make the problem worse. Their focus is on admitting foreign students. These students cannot wait to come to America and they cannot wait to graduate to work full-time in America. According to their student visas, they are supposed to go home but again, wink, wink, they don't. Moreover, a little known fact is that there is no limit to the number of H-1B visas who can be hired by colleges and universities. Since they do not command a salary as high as what an American would make, you can see why the colleges and universities love to hire them. As a professor at a local university, I have seen first-hand how foreigners are brought in to take American jobs, and I have seen Americans fired without cause to make room for new H-1B employees. As you would expect, the American graduates of these same universities have a difficult time competing for the good jobs at their own alma mater because Americans are simply at a disadvantage. We can thank our government for all that. But we shouldn't! Instead we should change our government post haste on Election Day. Thank God we live in a democracy even though our representatives forget too often that they work for the people. On Election Day, lets not forget. Lets fire them all for poor service. My recommendation is that if your Congressperson does not introduce or is not part of real legislation to make Americans the priority job-getters in America, it is time to give them their walking papers. To read lots more about this topic, please click here.